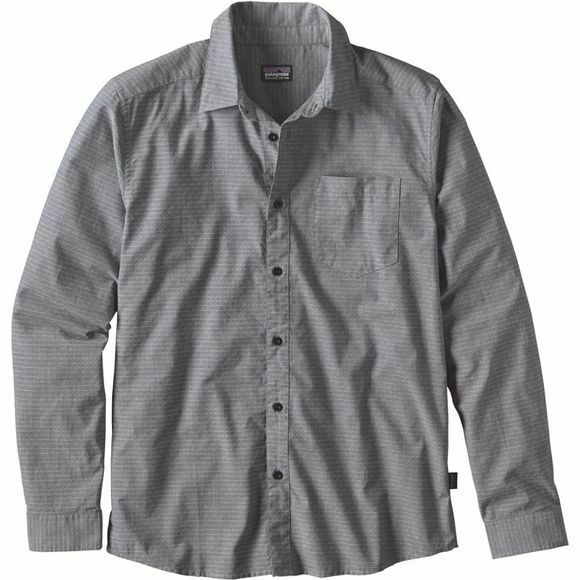 The Men's Long Sleeve Fezzman Shirt from Patagonia is a cool-wearing, long-sleeved, button-front shirt made with a light and breathable organic cotton and recycled polyester plain-weave fabric. All of this means you can wear the Fezzman on a summers-day as moisture wicks away from the skin and keeping you cooler for longer. A patch pocket at the chest provides some storage space for valuables, while the shirttail hem means it can be tucked in more easily.